The Puget Sound region of the Pacific Northwest was one of the most densely populated areas of North America, due in part to the rich variety of foods available there. 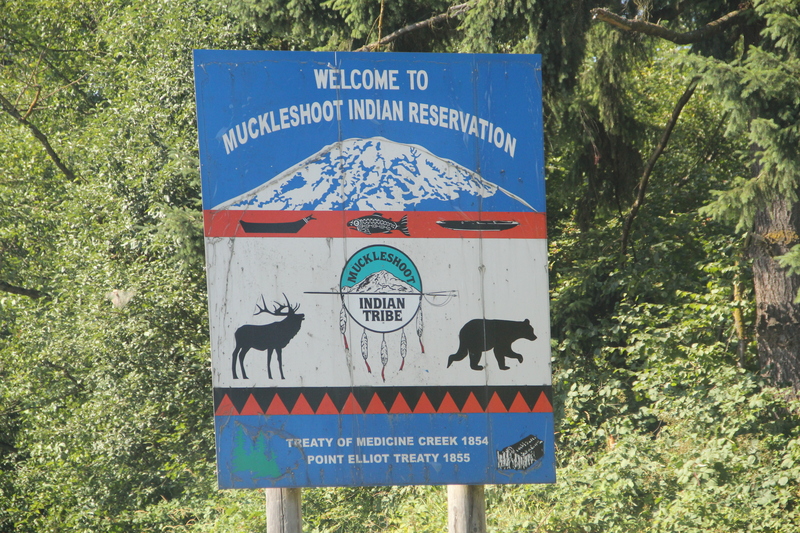 Wild game like elk; fish, shellfish and seaweed from the ocean; and a wide variety of berries, roots, bulbs, nuts, seeds, and leafy greens from the fields and forests sustained Coast Salish people, including the Muckleshoot tribe. A study was conducted in collaboration with the Burke Museum the Muckleshoot, Suquamish, and Tulalip Tribes, and King County to assess what foods were eaten by native people before European contact. What they found was remarkable, with over 300 types of food remains identified, a number that likely does not accurately represent plant foods, which deteriorate much more quickly than animal bones. Indigenous people managed the land through burning, weeding and pruning, encouraging the propagation of choice food species. Traveling to the Pacific Northwest expanded our ideas about what constitutes “gardening.” Valerie Segrest, a Muckleshoot community nutritionist and the coordinator for the Muckleshoot Food Sovereignty Project, is looking to expand people’s conceptualization of gardens beyond rows and boxes (“like Mr. McGregor’s garden” she described), to recognizing stretches of forest dense in medicinal plants like nettles and wild ginger as landscapes that their ancestors intentionally tended and cultivated. 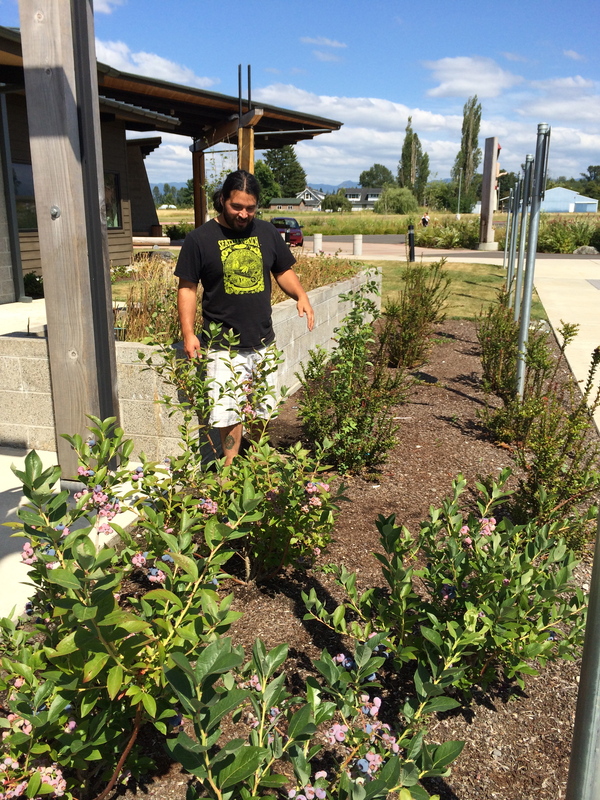 Community garden coordinator Miguel Hernandez holding blackberries from the tribal college berry garden. Photo by Angelo Baca. Addressing some of the challenges of accessing this food, in 2008-2010 the Northwest Indian College Cooperative Extension Department conducted a community based participatory research project to learn more about traditional food usage, and explore ways of increasing access. Valerie and others at the College worked with tribal elders, cooks, healthcare workers, cultural specialists and archaeologists to determine how to apply research about the traditional foods of the indigenous people of Puget Sound to create a healthier diet and lifestyle for people today. 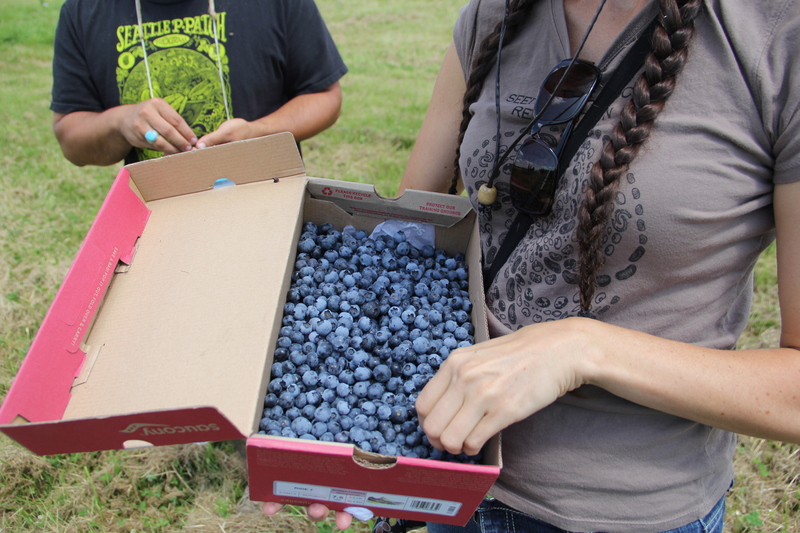 The first part of the project consisted of creating a modern native foods diet, through reviewing archeological and ethnographic materials, as well as interviewing elders, and then identifying foods that were still available, as well as nutritionally similar substitutes (for example blueberries if huckleberries are not available. )The second part consisted of organizing roundtable discussions with harvesters to see what traditional foods people still have access to, and what barriers exist to harvesting other foods. The third portion included a tribal cooks camp for recipe brainstorming, and the fourth and final part entailed sharing the outcomes with the community. 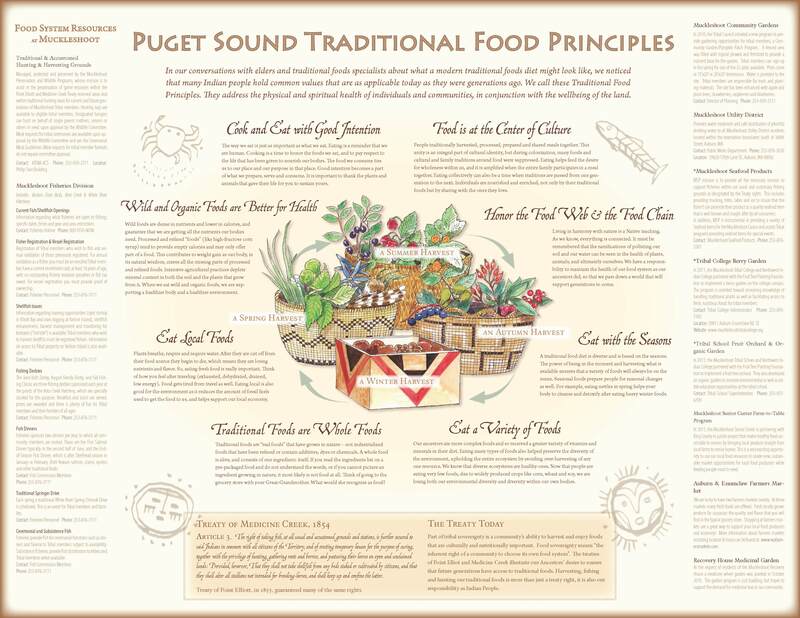 All of this material was complied into Feeding the People, Feeding the Spirit: Revitalizing Northwest Native Food Culture, as well as a Northwest Native Foods curriculum and online resources. 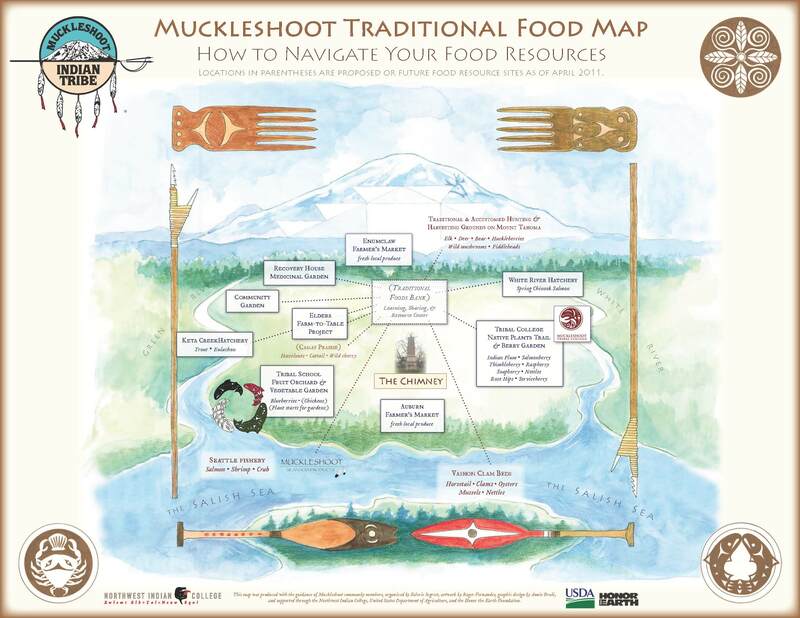 The Muckleshoot Food Sovereignty Project was founded in 2010. 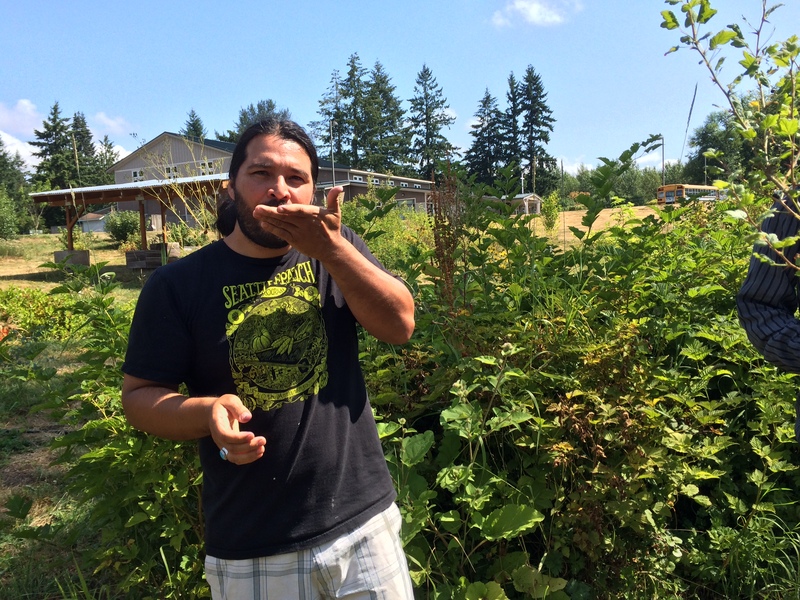 This project approaches the goal of promoting traditional foods in the community through a three pronged approach: hands-on workshops that share traditional knowledge around culturally important foods like elk, salmon, and plant foods; assisting with traditional feasts for community events; and most visibly through the installation of three gardens that serve as food production as well as educational spaces. 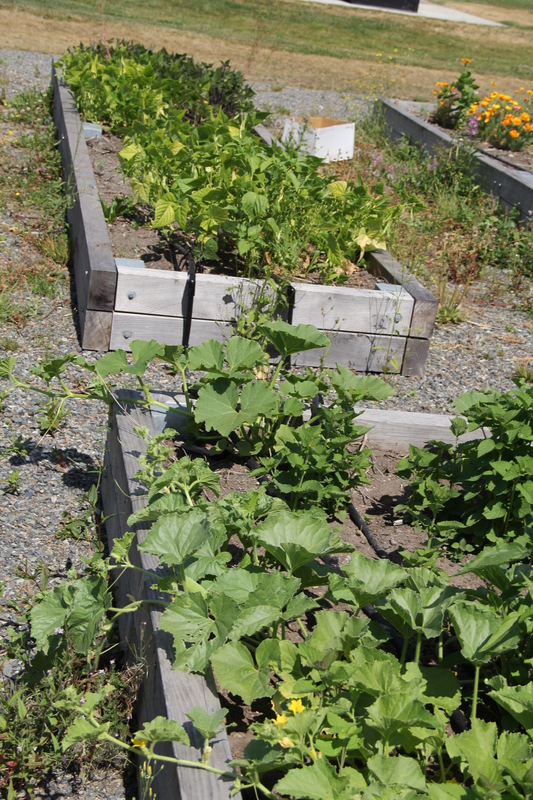 The project is coordinated by Valerie Segrest (a community nutritionist who also teaches classes for the Northwest Indian College Cooperative Extension Department), and Miguel Hernandez, the Community Gardener and Project Assistant who has certificates in permaculture and biodynamic planting. 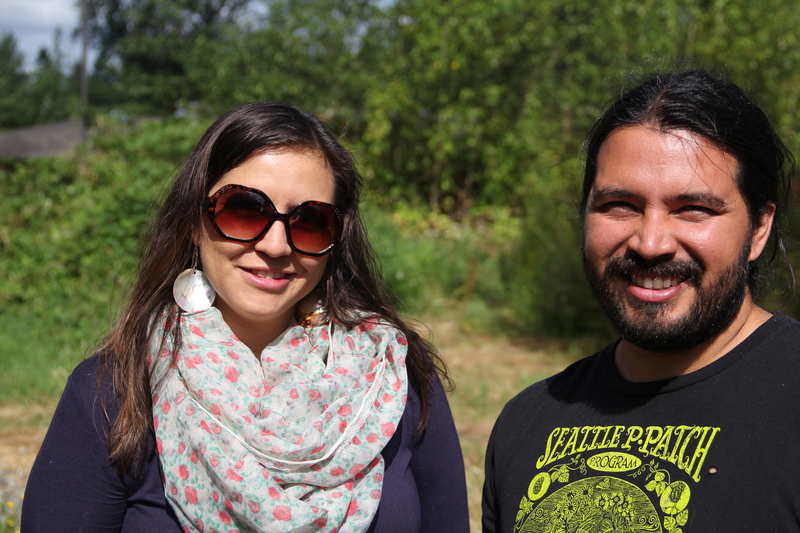 We went back to Northwest Indian College (Angelo taught there as an instructor from 2010-2012) on July 21 to visit Valerie and Miguel, and the various gardens that the Muckleshoot Food Sovereignty Project has built. Valerie Segrest (Muckleshoot) Community Nutritionist and Project Coordinator. 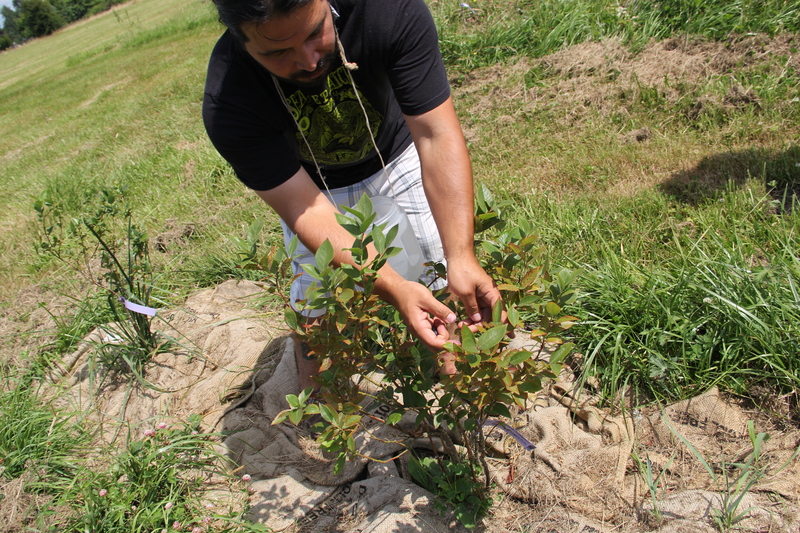 Miguel Hernandez, Community Gardner and Project Assistant for the Muckleshoot Food Sovereignty Project. Photo by Angelo Baca. 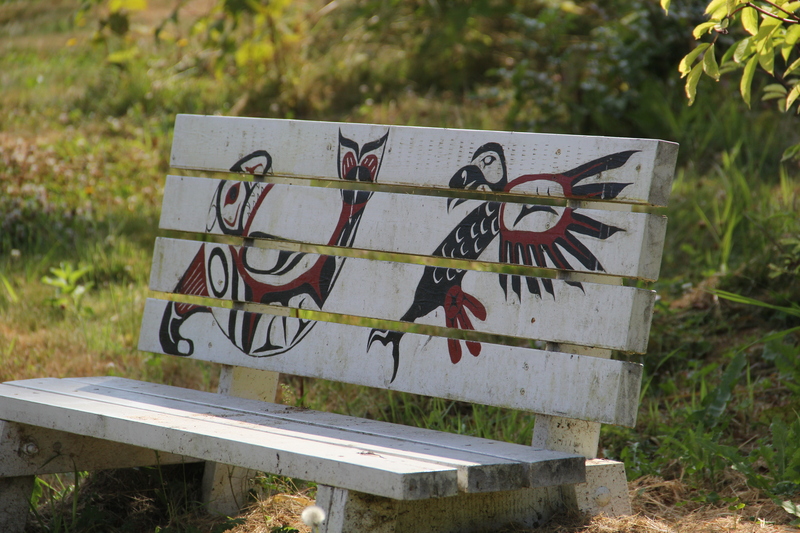 In 2010 the MFSP received a grant from the Fruit Tree Planting Foundation’s Reservation Preservation program and the Muckleshoot Charity Fund to plant fruit trees and bushes at the Northwest Indian College Muckleshoot campus and at the local tribal school. 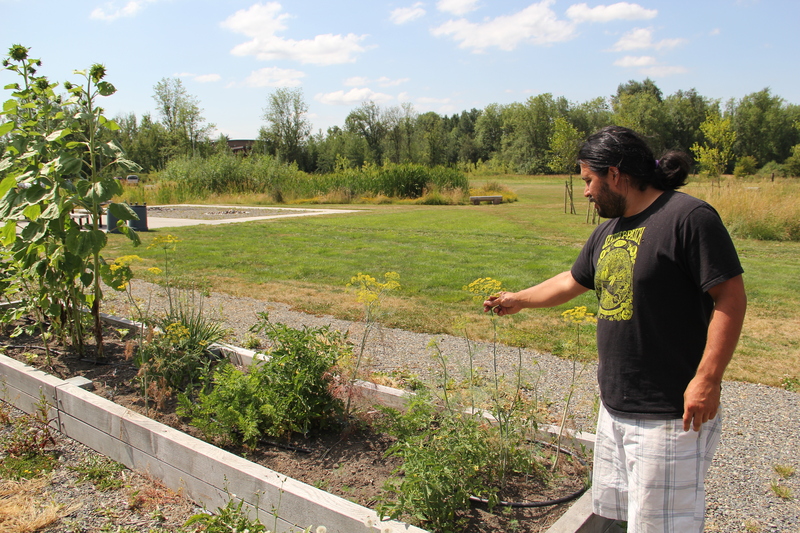 The berry garden at the college consists of a winding path of huckleberries, gooseberries, blackberries, blueberries and salmon berries, interspersed with herbs like lemon thyme, lavender, nettles and yarrow. The garden is surrounded by a perimeter of apple, peach, pear and black hawthorn trees. 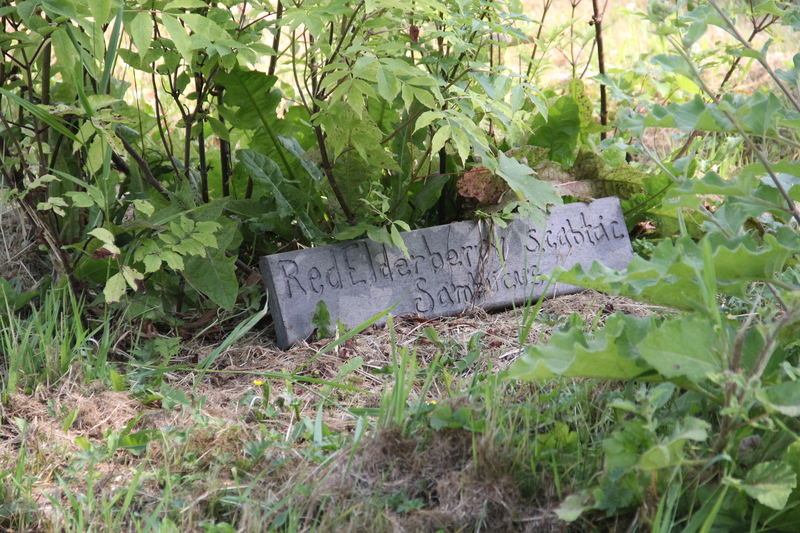 The language program at the college has also begun developing curriculum around the garden, and created signs in three languages (English, Latin and Lushootseed) for each plant. 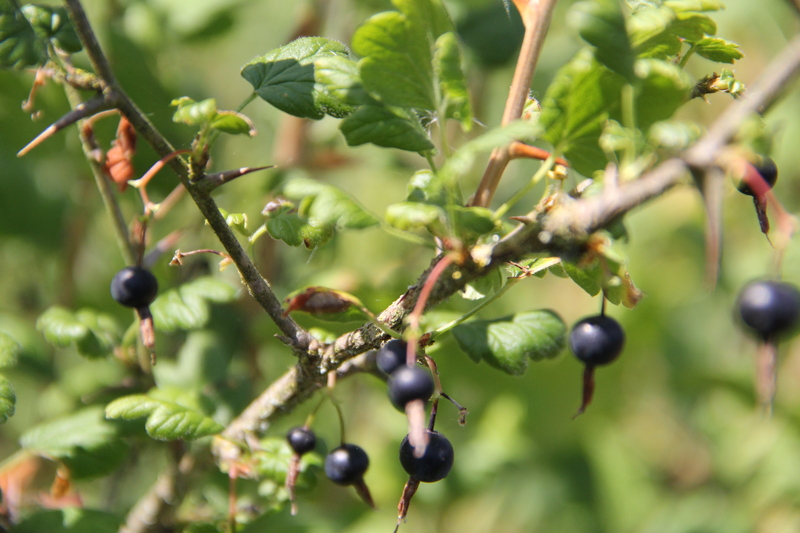 While the MFSP still wants to encourage people to get out into the woods to gather wild foods, they see the gardens as a way of bringing the berries closer and getting people interested. 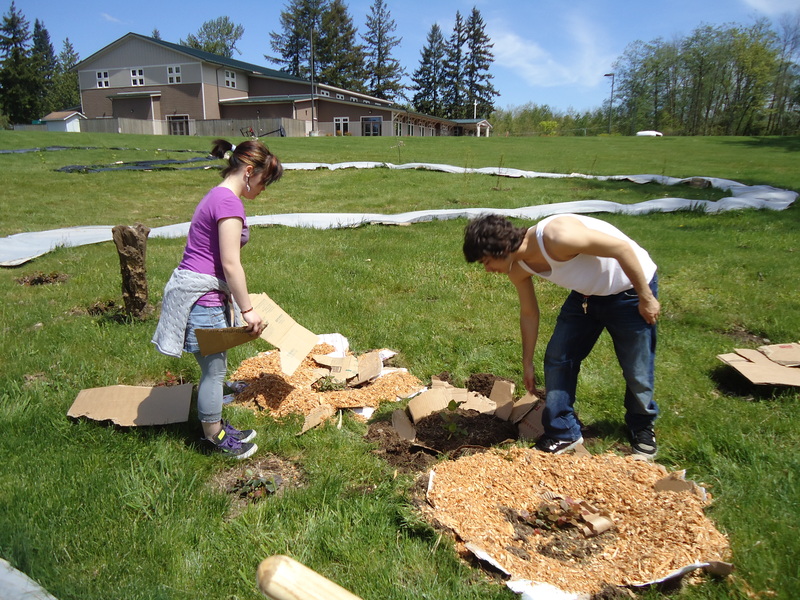 In addition to building and maintaining gardens, MFSP and NWIC are focused on educational programming that encourages tribal members to obtain and eat local traditional foods. For the past several years they have hosted harvest festivals and berry festivals (including one called “Berried Alive”). The Cultural Sovereignty class has also hosted salmon fileting demonstrations, sheep processing (with the help of Angelo’s mother Ida Yellowman, who is also an instructor at the College), and elk processing, as well as the preparation of dishes like fish head and seaweed soup. MFSP and NWIC is currently working on documenting these skills on video, as a means of preserving and distributing this knowledge. Sometimes events are held at the tribal college, which draws the 20’s and 30 year old crowds, and other times events are held at the elders center, which tend to attract grandparents and their grandchildren. 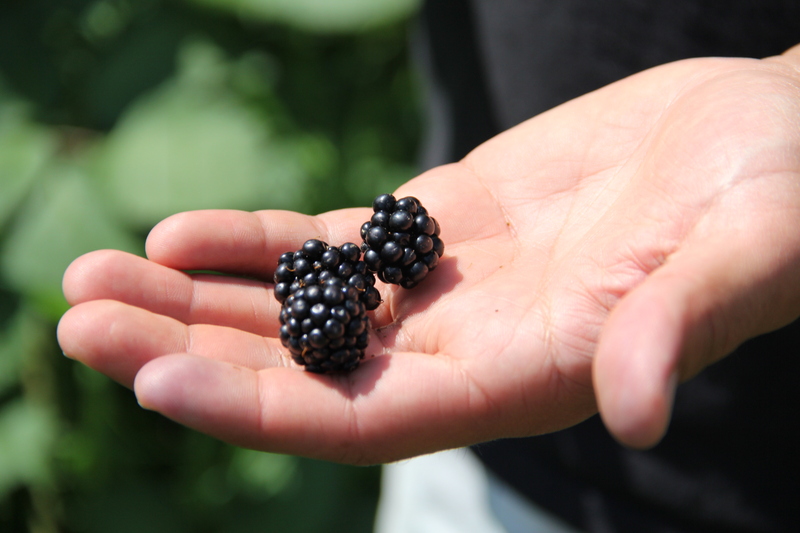 According to communications coordinator Roma Jean Thomas, MFSP and the College are also sponsoring youth programs, to teach kids about berry gathering and edible plant identification. The Muckleshoot Tribe recently purchased 96,000 acres of forestland at the base of Mt. Rainier from the timber company Hancock Weyerhaeuser. While the tribe has reserved the possibility of sustainably continuing logging operations there at some point, Valerie and others focused on traditional foods see the return of this land to the tribe as valuable for its cultural and nutritional possibilities– from the huckleberry meadows to the camas fields, the elk that live in the forest, and the possibility of cultivating and harvesting mushrooms, which currently cost more per pound than salmon. 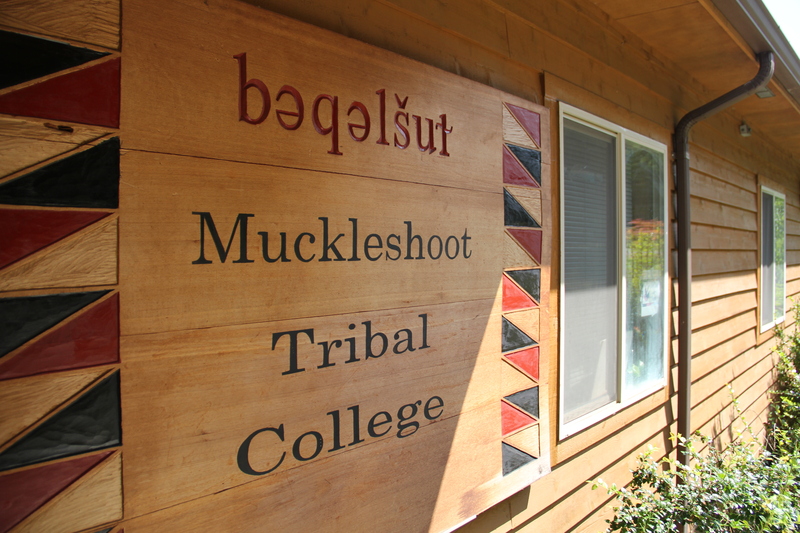 By continuing their program in conjunction with the community and the Northwest Indian College, the Muckleshoot Food Sovereignty Project is ensuring that there will be harvesters interested in places like this. Valerie is featured at a local Tedx Talk in 2013 talking about her work. Also, check out the Native Youth Cooking Show created by Angelo’s Big Picture high school students in 2010. The video includes the kids exploring Native food recipes, tribal canoe journeys, and a plant walk with traditional foods and medicines by Valerie Segrest.